A WOW experience will look very different to each of us. For some, a WOW might be as simple as organizing your weekly schedule or getting to your job on time. 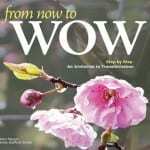 For others, a WOW experience could mean achieving a lifetime goal you diligently worked toward for years. WOW could be a profound spiritual experience — an experience difficult to put into words but felt to be deeply transformational at your core. The journey we each travel in our lifetime is none other than the road to self-discovery and self-mastery. No one person can take us there for this is a personal and unique experience. In the end, we lead ourselves into and out of the shadowy darkness wrestling for its time to shine in our consciousness. As we illuminate each shadow with our awareness, truth finds its way out of our depths into the sunlight. Chapter One is the first in a series of 12 to be published in this two-volume handbook. We are offering the first chapter as a sneak preview and look forward to hearing your feedback. A sample preview is available on Amazon or a digital download can be linked to below. INTERNATIONAL Buyers Soft cover edition available on Amazon.com or Amazon.eu. 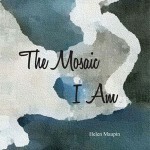 This book of poetry is about remembering, about piecing together the forgotten and denied, about watching a picture take shape and, along the way, about choosing the mastery necessary to paint one’s desired portrait of self. It is not an original portrait, but rather one we all share in common. This is what makes it so compelling. What is uniquely original is the varied routes we each choose on this journey through the heart. Not everyone can do all yoga poses, but everyone can do all yoga actions. Purchase a print copy here. 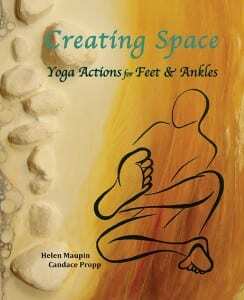 Yoga Actions for Legs & Knees is the second in a five-volume series of e-books emphasizing primary actions for such area s in our bodies as — Feet & Ankles, Pelvis & Psoas (Hips & Groins), Spine & Rib Cage, Arms & Shoulders. With Legs & Knees, we continue to emphasize the importance of self-determination on our path to greater enlightenment. When we so choose, yoga awakens us to every aspect of our being — spiritual, physical, intellectual, communal and emotional (SPICE). As we both can attest, the Iyengar tradition of using props protects the body from injury while allowing a deeper expression of the posture. Propping the body establishes correct alignment and form while teaching the practitioner to trust support in order to release emotional holding. Our chosen approach is to unite breath fluidity with structural integrity in the ultimate integration of body, mind and spirit. We recognize that not all actions will speak to all people. Our bodies are unique representations of our life experiences, therefore, use the actions and sequences that support your transformation goals. No one knows your body, mind and spirit better than you so let your inner wisdom guide your choices. 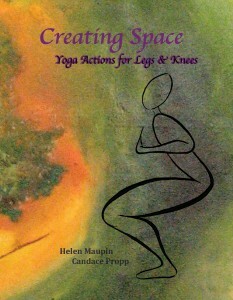 Yoga Actions for Pelvis & Psoas is the third in a five-volume series of e-books emphasizing actions in focused areas of our bodies — Feet & Ankles, Legs & Knees, Torso & Spine, Shoulders & Arms. Within every volume, each action is displayed in a two-page layout. The first page describes the action and visually demonstrates the experience through a Pre Pose. The second page provides a five-pose Peak practice sequence to further expand your experience of the action. Finally, we follow each sequence with Post Poses to fully relax the body and integrate the asana experience. As always yoga works to balance stability with ease. In the Pelvis & Psoas actions, you are building the stable physical container (pelvic bowl) necessary to allow the subtle breath body to easily create internal space. Creating space in our physical body allows us to see through our thoughts, memories, emotions and desires into our essential nature. 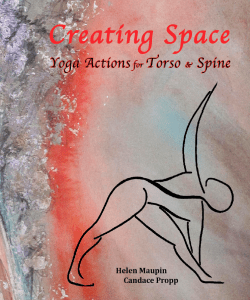 Yoga Actions for Torso & Spine is the fourth in a five-volume series of print and e-books emphasizing actions in focused areas of our bodies – Feet & Ankles, Legs & Knees, Pelvis & Psoas, Shoulders & Arms. Within every volume, each action is displayed in a six-page layout with the first page describing the action and visually demonstrating the experience through a Pre Pose and a five-pose Peak sequence to further expand your experience. Finally, we follow each sequence with Plus Poses to further develop the action and Post Poses to fully relax the body and integrate the asana experience. In essence, every yoga pose we practice has the intention of bringing us into Tadasana alignment, which maintains the natural curves of the spine and a balanced pelvis. This alignment contributes to the lightness and upward movement of the spine—the ability to stand tall. In Yoga Actions for Torso & Spine, you are building the spinal alignment, strength and flexibility necessary for standing tall. When the spine is unable to hold the torso upright, we overuse muscles and ligaments not intended for this purpose, which eventually leads to the many back-related issues prevalent today. You may be familiar with the expression, “We are only as young as our spine.” Time and again, we witness this truth in mature practitioners who have the strength and confidence to bend over backwards or stand on their hands. By seeding your awareness with single-pointed concentration on each Torso & Spine yoga action, you will stand taller and experience the rebirth of the hero within you. In each of our books, the journey toward calm abiding with clear seeing is laid out in beginner, intermediate and integration yoga actions and sequences. 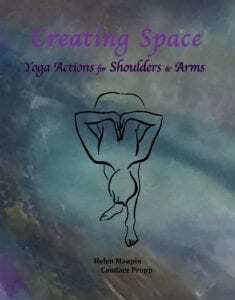 Yoga Actions for Shoulders & Arms is the fifth in what has now become a six-volume series of print and e-books emphasizing actions in focused areas of our bodies — Feet & Ankles, Legs & Knees, Pelvis & Psoas, Torso & Spine. We recently added The Yoga Actions Glossary, which is still in production. Within every volume, each yoga action is displayed in a six-page layout with the first page describing the action and visually demonstrating the experience through a Pre Pose, followed by a five-pose Peak sequence to further expand your experience of the action. Finally, we follow each sequence with Plus Poses to further develop the action and Post Poses to fully relax the body and integrate the asana experience. Our yoga actions and breath regulation practices engage your will power (emotion and thoughts) to regulate the breath and body. You may also wish to practice holding your awareness on the sensations that arise during your practice. When we hold our awareness on sensation, we are witnessing, rather than willing, the collective action of mind, body and spirit in whatever healing and transformation is needed. Purchase a Color Copy here; or a Black & White Copy here. 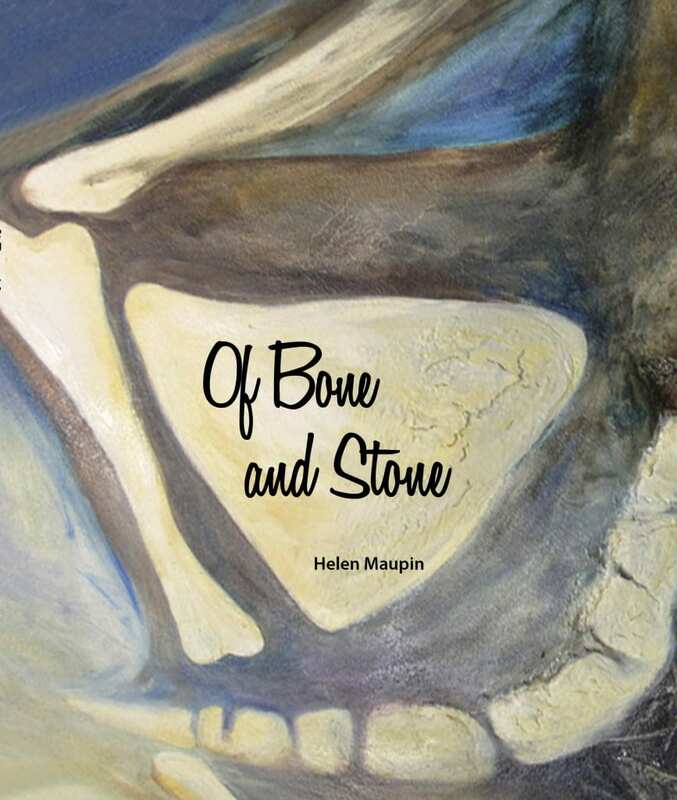 Of Bone and Stone emerged as a result of my weekly program — Mindful Meditation: Awaken, Breathe, Create. Each week, my circle of companions come together to meditate, discover and transform through their written words. Each week, with the inspiration of a visual image, we write to unravel the mystery of our lives. In having done so, I now lay out before you, a poetic chronology of my own inner struggles and triumphs through my personal journey from fear into joy. My photographic collaborator, Betty Schelske, journeys weekly with me into the joy of writing and birthed her own creative genius through a camera lens. Betty’s inspirational portraits illustrate how that which exists in the external world mirrors what resides within. The journey into one’s creative essence epitomizes the hero’s journey, and we were accompanied by many other heroic souls who savoured the experience and bolstered esteem. Thank you all for contributing to the cocoon of creativity that emerged essence and uncovered joy. I hope you enjoy this new endeavour of mine and you find comfort in knowing, while we may take a different route, we are not alone. 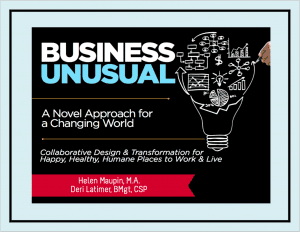 Deri Latimer and I are pleased to share with you our latest e-book collaboration. Today’s social and economic environment is presenting local and global enterprises with complex challenges. Our hope is that Business Unusual will provide you and your workplace with helpful ideas for designing adaptive solutions to your particular challenges. 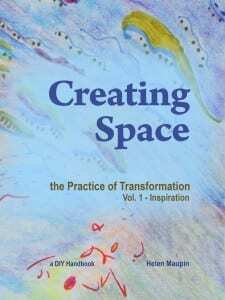 We would gratefully receive any thoughts or feedback that emerge once you have read our e-book. Collaborative organizations and people are happy, healthy, humane & innovative.